Explore the rich and dynamic history of Bakgatla-Ba-Kgafela tribe, the people of Pilanesberg. 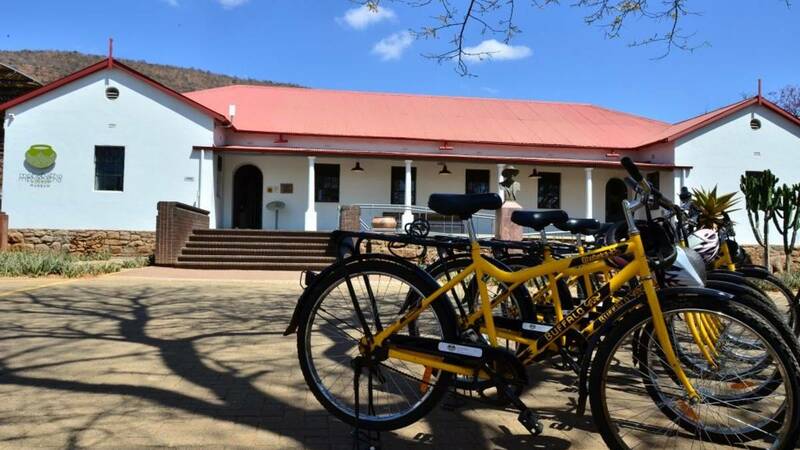 This exciting tour takes you to four Bakgatla heritage sites combined with a travel through the village on bicycles. 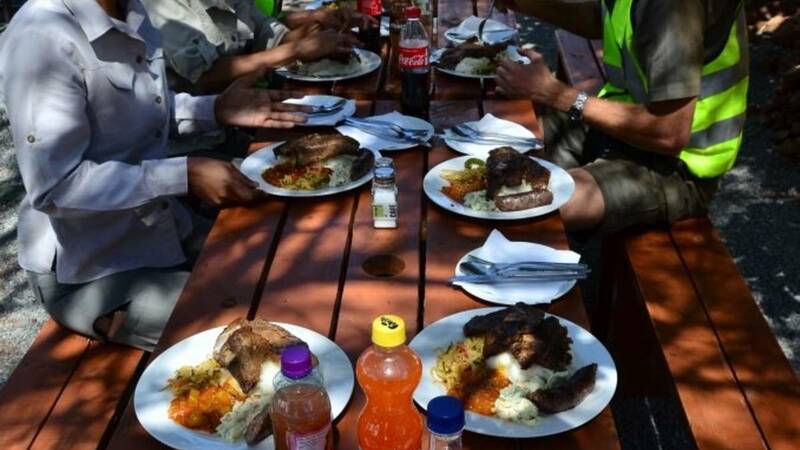 It comprises of breaks at a local shebeen/tuck shop, at “Tshilong” where you’ll learn about traditional food preparation and concludes at TT’s, a home restaurant. There is a slight adventure as the route takes you on different landscapes. What to Wear*To wear suitable clothing for an outdoor adventure as well as comfortable closed shoes – running shoes, sneakers, boots (no sandals). *Bring cash (ZAR) for souvenirs and refreshments. No card facilities available. Things to Bring•	Please remember your sunscreen (SPF), sunglasses, hat and camera! Guests or SpectatorsKindly be at the Gametrackers desk, situated in the Welcome Centre at Sun City Resort, 15 minutes prior to the scheduled departure time as indemnity forms needs to be signed. Unaccompanied minor (person under 18 years) - Parent/Legal guardian must sign the indemnity forms on the minors' behalf before departure. 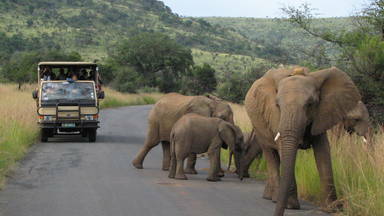 Guests are collected from Sun City and embark on a 30 minute transfer to Mphebatho Cultural Museum in Moruleng Village. On arrival, a local tour guide will take guests through a 20 minute tour of the museum, sharing knowledge and understanding of the traditions and history of the Bakgatla-Ba-Kgafela. 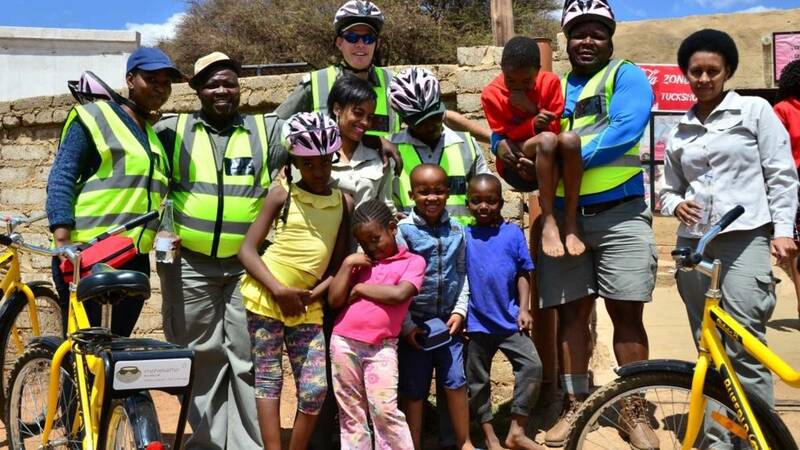 Guests will then sign an indemnity form, receive a safety briefing and commence the bicycle tour through the village. 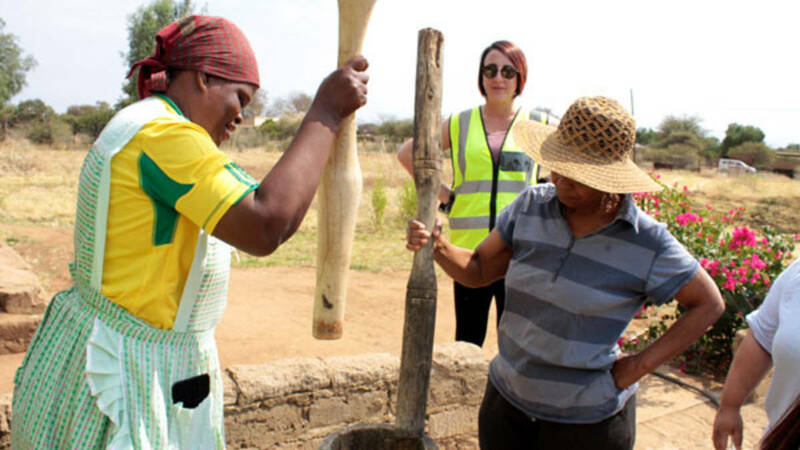 The route has some off-road experience and mountainous tar road and includes stops at the cemetery of the first missionaries to arrive in Moruleng in the 1800’s, a stop at Kgosi Kgamanyane’s wall, a local shebeen/tuck shop for some refreshments and interaction with the locals, the first non-missionary school, the rain making rock, a stop at “Tshilong” where they will get a traditional beer welcome drink and learn about traditional food preparations and get hands on involved in the process. Afterwards the tour will end at TT’s for traditional pap, veggies, meat and a soft drink before heading back to Sun City. •	A minimum of 4 pax is required for the tour, the maximum number of riders is 10. •	The rate includes a return transfer from Sun City to Moruleng Village, water on the tour, a meal and a soft drink per person. •	The duration of the tour is approximately 4 hours, including the return transfer. 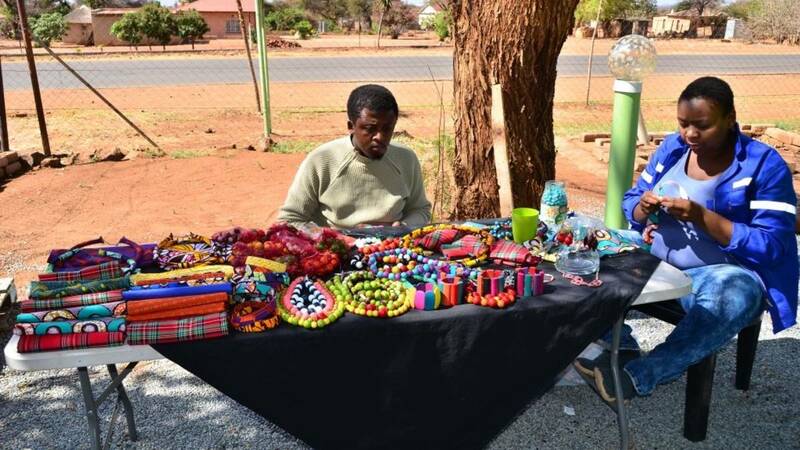 •	Please take some cash with you to buy some refreshments at the local “tuck shop”. •	Dietary requirements need to be advised in advance. 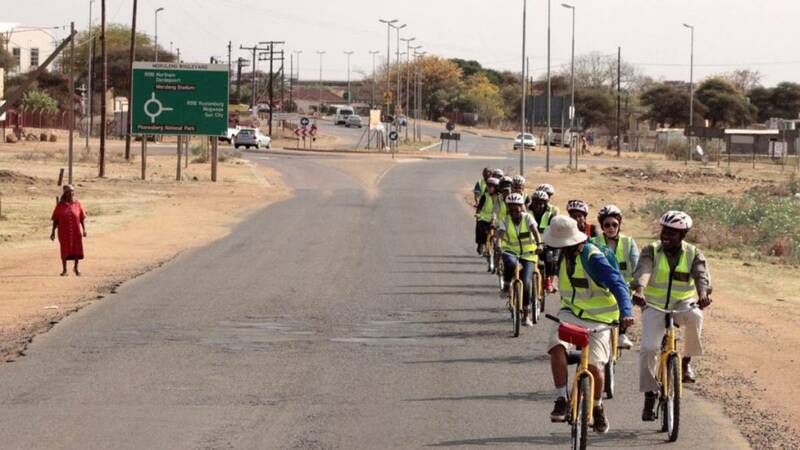 •	Guests are to be reasonably fit for the bicycle tour. There is a vehicle available for those who prefer not to ride. Guests are to be reasonably fit for the bicycle tour. There is a vehicle available for those who prefer not to ride.